Darrell Pearman, Director of Bands at Blackburg, Va. High School and a 1993 member of Carolina Crown submitted this photo and caption. 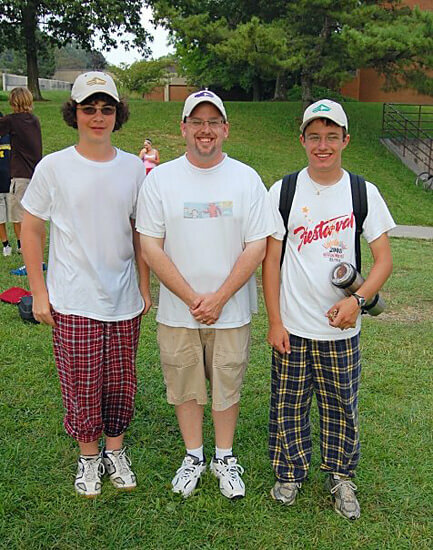 We are all big fans of Carolina Crown so we took this photo at our 2009 band camp. That's me in the center with my purple Carolina Crown logo hat. On the left is tuba player Tim Woerner with the gold Crown hat and fellow tuba player Isaac Brinberg on the right with his green hat.